Sammy reached his maiden Test century, but once he was out for 106, pulling a ball from Tim Bresnan to deep midwicket, the wickets fell quickly and the West Indies closed on 370. Bresnan massaged his figures after yesterday's hammering with three wickets to finish with 4-104. England then set about proving that the pitch was as flat as a pancake. Alastair Cook and Jonathan Trott both made starts and were unable to go on, Cook being caught twice off Kemar Roach no-balls, but the day belonged to Andrew Strauss. He struck his second century in consecutive games, putting him just one behind Hammond, Boycott and Cowdrey for the most Test centuries by an England batsman. Kevin Pietersen chipped in with a breezy 72* as England charged to 259-2 by stumps. 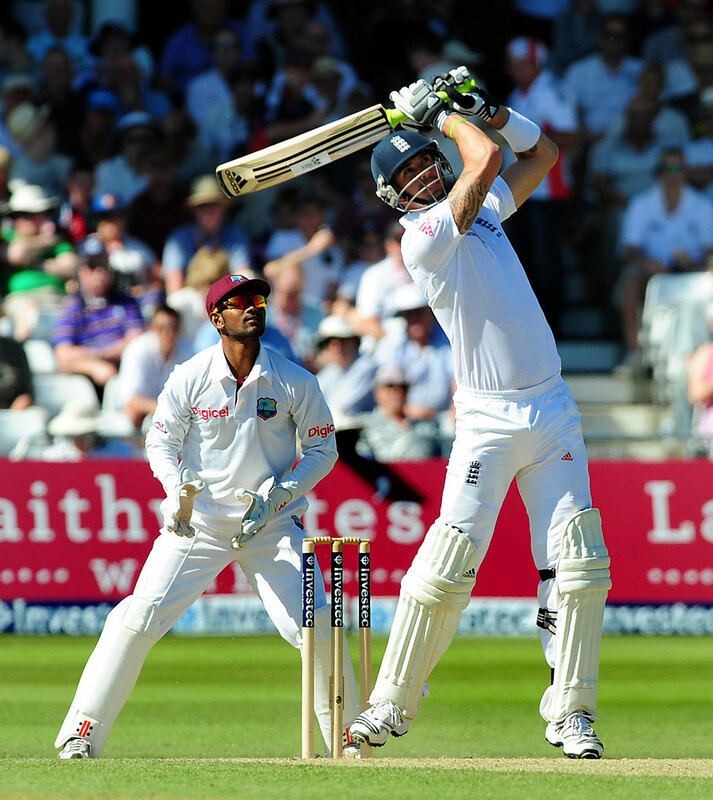 They will be looking for 500-600 to put some pressure on the Windies batsmen.